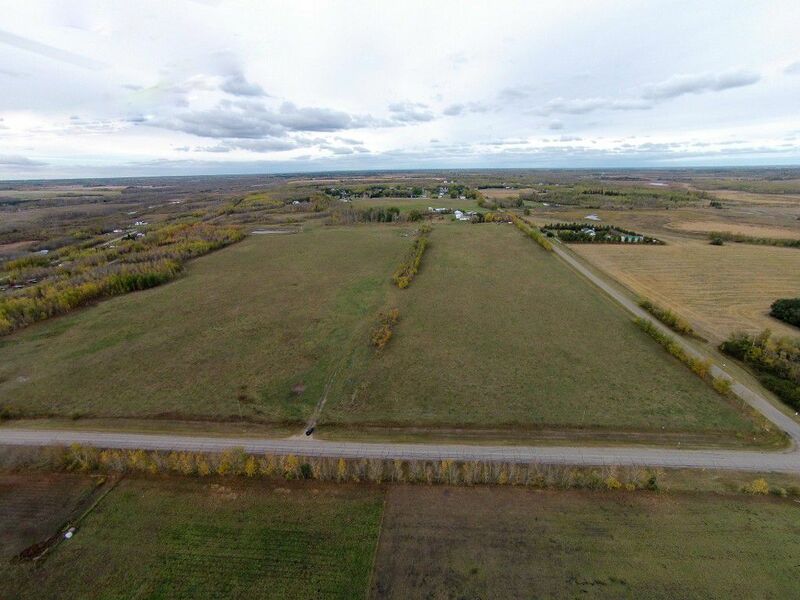 94.41 acres, more or less, on Hwy 28 just North of Gibbons in Sturgeon County. Excellent parcel of land for farming at present but good for future development purposes. It is located coupled of miles north of Northwest upgrader and other oil related plants, agri-business and Petro Chemical plants in the Albertan Industrial heartland in Sturgeon County and Strathcona County. Land is surrounded by 2 country residential communities, Gibbonslea and Maple Ridge and has a natural pond. Close to Goose Hummock Golf course. Paved road on both sides. GST may be applicable.